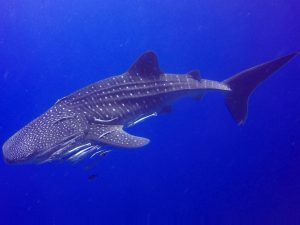 The Similan Islands National Park (Mu Ko Similan) is probably the most famous and offers some of the best dive sites in Thailand. It is officially part of the Phang Nga province and is located on the southwest coast of Thailand, in the Andaman Sea, about 65 kilometers from the mainland. There are nine main islands in a north-south line that make up what most people know as Similan Islands. A little further northeast, there are two more and uninhabited islands that officially belong to the Marine National Park of the Similan Islands, which are listed here separately as Koh Bon & Koh Tachai. Koh Bon and Koh Tachai are two remote islands which sit alone and between The Similan Islands chain and the Surin Islands. 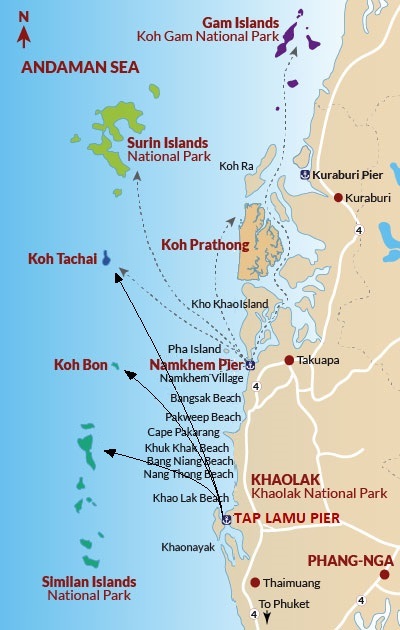 Koh Bon is nearer to The Similans, and Koh Tachai, a little further north, is nearer to Koh Surin. 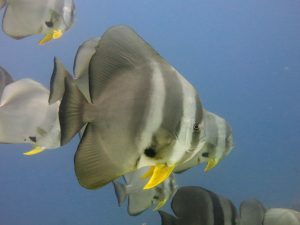 Mu-Ko-Surin Island National Park covers an area of 141.25 km². It includes the Surin Islands and the surrounding sea. 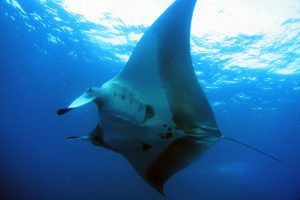 The protected areas of about 108 km² or 80% of the area are located in the sea. The park was declared the 29th National Park of Thailand on July 9, 1981. The Mu Koh Surin National Park is known for its unique surrounding marine life for divers and snorkelers. Richelieu Rock (called Hin Plo Naam in Thai) is probably the most famous dive site in Thailand and part of the Mu Koh Surin Marine Park, although it is located about 18 km east of Surin Island. 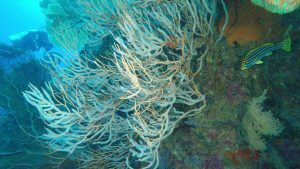 The horseshoe-shaped reef discovered by Jacques-Yves Cousteau is known for its purple corals and diverse underwater world.